Home to the Beaumont family since 1810, the Palladian building sits by the River Tyne at Bywell, Northumberland. 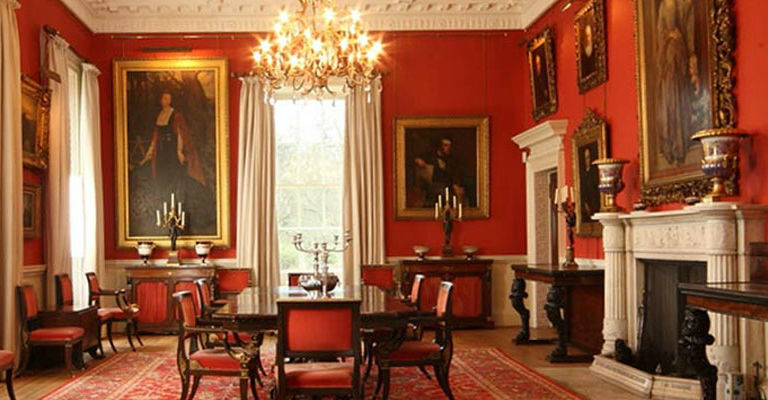 The privately owned 18th century country house is a Grade II* listed building set in extensive parkland and houses an important collection of furniture and art. William Fenwick (son of John Fenwick High Sheriff of Northumberland in 1727) built the new house at Bywell to designs by architect James Paine in 1760. Alterations were made by John Dobson in 1817, and further extensions were added in the 1890s. The estate was sold to Thomas W Beaumont for £145,000 early in the 19th century and the house was improved by the Beaumonts, with the assistance of architect John Dobson, in 1827 and further altered later in the 19th century. Bywell Hall is now home to Wentworth Beaumont, 4th Viscount Allendale.